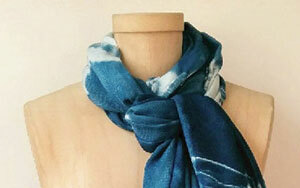 In this fun and easy workshop, students will create a beautiful hand dyed indigo shibori scarf. You will transform a blank white scarf into a one-of-a-kind work of art by creating patterns with shibori stitch resist techniques. Then we will be hand dyeing our scarves with indigo dyes. 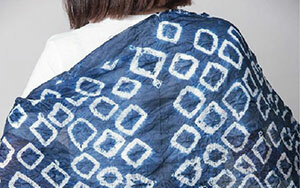 Your will walk away with a beautiful and unique indigo scarf perfect for breezy spring days. Come and enjoy this relaxing class and experiment with new creative processes that can easily be replicated at home! Recommended for middle schoolers, high schoolers, and adults. All supplies provided with a $25 materials fee payable to your instructor at the start of class.